Most of us food lovers in Chennai know Buhari is a popular restaurant to get biryani. But did you know that the iconic establishment is also responsible for creating the amazing Chicken 65 dish? A M Buhari, the founder of the hotel, introduced a new item onto the menu. 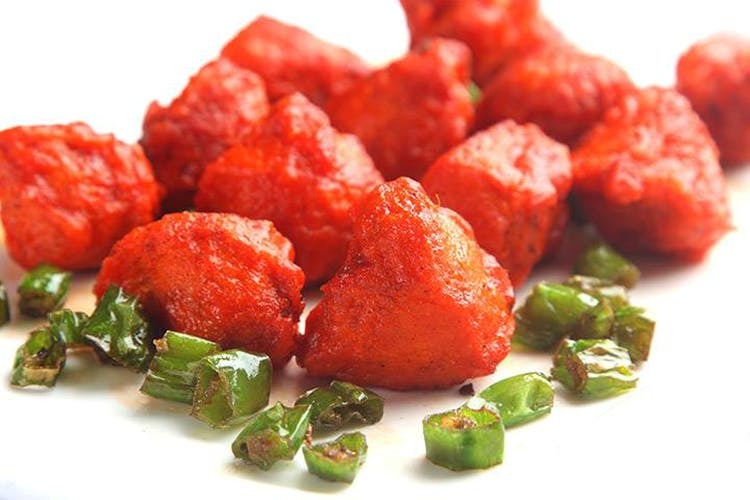 A spicy deep-fried chicken dish that was first intended to be a quick snack, the Chicken 65 became extremely popular with patrons of the restaurant. While the recipe has changed over the years, depending on which restaurant or hotel is making it, the most important ingredient is curry leaves, along with ginger, garlic, red chillies, and vinegar adding to the flavour. It’s not clear why the dish got the name Chicken 65, but if you look at the other dishes that were added — Chicken 78 (introduced in 19780, Chicken 82 (introduced in 1982) and Chicken 90 (introduced in 1990) — then it could be quite clear that the name comes from the year it was introduced into the restaurant menu. One theory states that because it took 65 days to prepare the marinade, the dish got its name from that. Another theory says that the dish got its name from the fact that the chicken was cut into 65 pieces before being cooked and served. Yet another theory states that dish contains 65 chilli peppers which where it gets the name from. That’s a lot of chilli peppers. The weirdest (and most unlikely to be true) theory is that the chicken dish is made from 65-day-old meat! Nobody should be eating the dish if that’s the case. And the most obvious theory is that the name was given because it was a simple snack made for Indian soldiers in 1965. But hey, if Chicken 65 is not up your alley, then you can just stick to their biryanis. What Buhari really does specialise in is a variety of different biryanis that tantalise the taste buds. And if that’s also not what you’re looking for, don’t worry, Buhari has Chinese food, parottas, meals, and even chop suey! And for the full historical experience, stop by their Mount Road restaurant because that’s their first ever shop that opened in 1951! While the restaurant has gone through a few facelifts, it is still the oldest and most iconic of restaurants in the city.